Looking for chess books to progress from an intermediate to advanced level? Here are our top 5 picks. Chess is a game that you can never master with experience alone. If you are on this page, it seems as if you have hit a point in your game where you know that you need to rely on sources other than your mind. 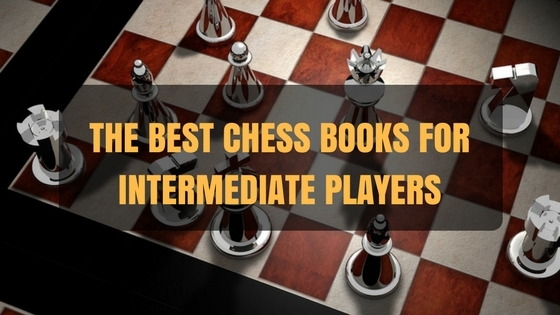 Books are still undoubtedly one of the best ways to learn strategies in chess. Combining that bookish knowledge with your experience is what ultimately makes you a chess master. This book is great for intermediate level strategies, yes; but at the same time it also heavily focuses on the psychological workings of the opponent’s brain. You can take guidance from this book and easily advance to an expert level because you will be able to understand an amateur’s mind so well. That was the unique aspect of the book. Coming to the strategies, one of the biggest contributions this book lent to the game of chess is the imbalance methodology. The imbalance methodology focuses on disrupting the position of the opponent’s structure by using minor pieces and other structures around the main pieces. Using this book, you will also be enlightened about your exacting standing in the game in lieu of the position of your pieces. This book will improve your chess game-play in the most classical way: By improving your game from the beginning to the end. It contains information on everything including smart opening moves, determining the best moves in the middle of the game and effective ending technique. This gem of a book also gives players excellent advice on how to practice their game and get better with time. The book is divided into four sections which cover these lessons. The language of the books and the games and lessons involved are just perfect for an intermediate level player. To improve your game in the classical way, this book should be a player’s standard textbook. As the name suggests, this book will take you through many different chess games and in the process, they will annotate every move. The annotations are mostly explanations of the move. This book will level your mind with that of stronger players. For intermediate level chess players, thus, this book is excellent for increasing the USCF rating. It is obviously recommended that you play every game in the book. In doing so, your knowledge of the game will increase and you will be experiencing a number of different strategies as well. It is time-consuming but absolutely worth it if you want to be out of a rut. If your sole purpose in a game of chess is to win, then this book is your god. This is not a book that will help in increasing your knowledge about a game. It will not even help you think like an advanced player. The sole purpose this book serves is making you win games. So how does this book do that? Simon Webb, in this book, explains how to play to your strengths and use your own instincts as a powerful weapon to thrash your opponent. I do not recommend that you use this book very often, though. This is because if you play to your strengths very often, you become predictable and as you face more advanced players, you realize the gaping holes you have left in your development. Looking for Trouble is almost like the polar opposite of Chess for Tigers. It does not focus on the bigger picture of winning the game. No, this book focuses on the more meticulous details, i.e. the tactics used by the opponent to progress his or her game. When you are well aware of the tactics used by the opponent, you can pinpoint the blunders they make and the little openings they leave. So using the knowledge from this book, you can counter the opponent’s tactics and break their strategies before they come to bite you right back. This book teaches your mind to start thinking like an advanced chess player. If you want to better your game but cannot find the time to go through long and tedious reading sessions and the likes, this book is for you. It contains 75 two-page lessons that are easy to read through because of Hartston’s wise and entertaining writing style. I have found that most advanced beginners and intermediate level players find this book much easier to read than the rest. The lessons in this book are elementary, advanced, and master levels. So you can watch yourself improve as you are able to tackle more difficult problems with relatively more ease.